This history of the BBC in Scotland is not the work of an objective outsider but rather of a key insider. David Pat Walker joined the new television section of the Scottish BBC in 1952. By the time of his retiral however – when he began writing the book – he had risen to the lofty position of assistant controller. To my mind this context is the source of both the book's strength and perhaps its weakness. Arriving at the most crucial moment in the BBC's first 50 years—when the dominance of Scottish radio was beginning to be challenged by television – the new kid on the block – David Pat Walker was ideally placed to understand both what BBC Scotland had been in the past and to recognise, and participate in, the changes that were coming. His closeness to, and knowledge of, all those working for the Scottish BBC virtually from its origins in 1923, including both administrators, technicians and broadcasters, as well as actors, performers and musicians, means that he has a story to draw on that no objective historian could possibly match. 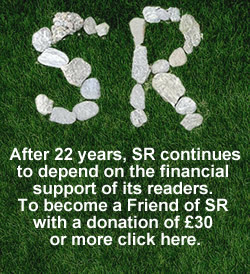 The reader knows he is in safe hands: the authenticity of the account he is reading can be taken for granted. Yet there is a sense in which Mr Walker's voice seems to be identical to that of the BBC itself: reliable yes, but also neutral, disengaged, rather flat. In his choice of title, the author insists on the personal nature of his memoir. But any sense of his own personality is exactly what is missing. In this history there is abundant evidence of continuing conflict and debate around major issues: central control vs. local control; Edinburgh vs. Glasgow as centres of power; UK hegemony vs. Scottish independence; radio vs. television. The author in no way downplays the importance of such conflicts, but one gets little sense of his own position concerning them. He reports the arguments on both sides, but gives little indication of any strong feelings of his own. In fact emotional engagement of any kind is not apparent in this history. And yet one suspects that the speed of the transforming rise of television in the 50s and 60s – relegating Radio Scotland to an increasingly secondary role – must have been a deeply troubling experience for all those senior figures whose background was exclusively in radio. But there is little sense of that story here: 'The BBC in Scotland' remains focused on what was happening rather than its individual impact. 'The First 50 Years' ends in 1973, but what I find most striking is how little has changed in the next 40 years. One might even suggest that what were issues in 1923 continue to be central issues today: on the one hand the exact relationship between BBC Scotland and BBC UK, and on the other the degree to which the inevitable cultural nationalism of BBC Scotland is or is not tainted with political nationalism. In the early 1920s, the state of broadcasting technology meant that Radio Scotland operated out of four local stations in Glasgow, Edinburgh, Aberdeen and Dundee. In other words radio was essentially local. However, improvements in technology soon meant that the Scottish public could hear both Scottish-wide and eventually London-produced programmes. Inevitably there were tensions over the appropriate proportion of each category. To what extent should Radio Scotland 'opt out' of UK-produced programmes? Surely that is an issue that also remains alive today. Similarly the debate over just how 'Scottish' BBC Scotland should be has a long history. During the second world war, for technical reasons, separate Scottish broadcasting ceased. But in 1945 the new Scottish home service was introduced giving the Scottish management a greater degree of autonomy than it had had in 1939. The aim of the new home service was to provide 'the home programme of the people of the United Kingdom', but in Scotland at least it was greeted with more criticism than approval. Both in the press and in parliament the new programme was denounced for its lack of relevance to the Scottish scene. The then Scottish controller, Melville Dinwiddie, argued that the war had in fact made many Scottish listeners more anglicised and more Americanised in their tastes, but that he would aim to 'restore a satisfactory balance of listening between cosmopolitan items and the purely Scottish material of which people had been starved during the war'. How far he succeeded remains a moot point. In the course of his account the author refers occasionally to the Scot who was the founding father of the British Broadcasting Company (later Corporation): John Reith. But he does not address the issue of just how influential this son of the manse was in determining the fundamental nature of the BBC. The evidence here is that, at least in Scotland, that influence was both deep and lasting. In 1946 the new Scottish home service retained a strict 'Sunday policy'. On the Sabbath there would be no broadcasting of dance music, sport, variety programmes or party politics – Sunday programmes would be the 'best' of the week. Such an attitude prevailed in the Scottish BBC in the following years but in the 1960s became increasingly out-of-step with the kind of society emerging south of the border. London-produced television programmes in particular were not always to the taste of BBC Scotland. The divergence of opinion between London and Scotland over what was or was not acceptable became palpable, and Scotland's hostility to any kind of pandering to the 'Swinging 60s' remained in place. There was even an official declaration that while still wishing to collaborate with their London colleagues, the Broadcasting Council for Scotland must (astonishingly) 'gang its ain gait in the interests of its ain folk'. What this meant is that while the BBC's director-general, Hugh Carleton Greene, was busy accelerating the process of change in the BBC, his opposite number in Scotland – Andrew Stewart – was in Walker's words, gathering 'a cloak of Reithian values more tightly around himself' as he defended what he saw as Scottish tradition against the new London 'trendiness'. Stewart retired in 1968 and it was his successor – Alasdair Milne – who moved BBC Scotland into the modern world. After only five years in charge of Scotland, Milne moved up to became director-general of the BBC, but Walker clearly sees his period in charge in Scotland as a hugely important one. Radio Scotland had found it difficult to come to terms with the new world that the rise of television had created. By 1939, 800,000 wireless licences had been issued in Scotland – which Walker suggests means that almost every Scottish family could listen to the radio. At its peak in the 1940s and 50s, Radio Scotland could boast an audience of almost half of all those in the country able to listen to the wireless: this meant that on a Saturday evening, after the 6pm news, a million people tuned in first to 'Sportsreel' (mainly about football), then at 7pm listened to 25 minutes of Scottish country dance music, followed by the latest instalment of 'The McFlannels' – Scotland's hugely successful and longest-running family serial. In 1948, 'The McFlannels' attracted as large a national audience as Tommy Handley's 'It's That Man Again' on the Light Programme. After years of this kind of radio success, BBC Scotland did not find it easy to commit itself to the rise of television. However, forced to recognise that the growing popularity of national television was quickly draining away its evening audience, Radio Scotland had some success in finding new programmes to appeal to a daytime audience. Thus the new controller could focus all his energies on revitalising BBC television in Scotland in a range of ways. Under Milne, style and presentation, production methods, and financial arrangements, were all transformed. In 1973, then, BBC Scotland could celebrate its 50th anniversary with justifiable pride. At the formal celebratory lunch on 6 March, the principal guest, Sir Robert Grieve, said, 'You are the best, but I say it astringently...you've had 50 years...you're so old...you have grown so big.' 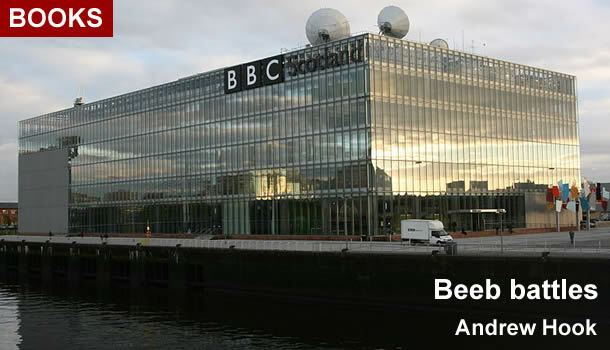 More than 30 years on, is BBC Scotland still the best? Readers will have their own opinions, but for what it's worth my own view is that BBC Scotland is much better than most of its critics allow. Why did she turn down Bernard Ponsonby?